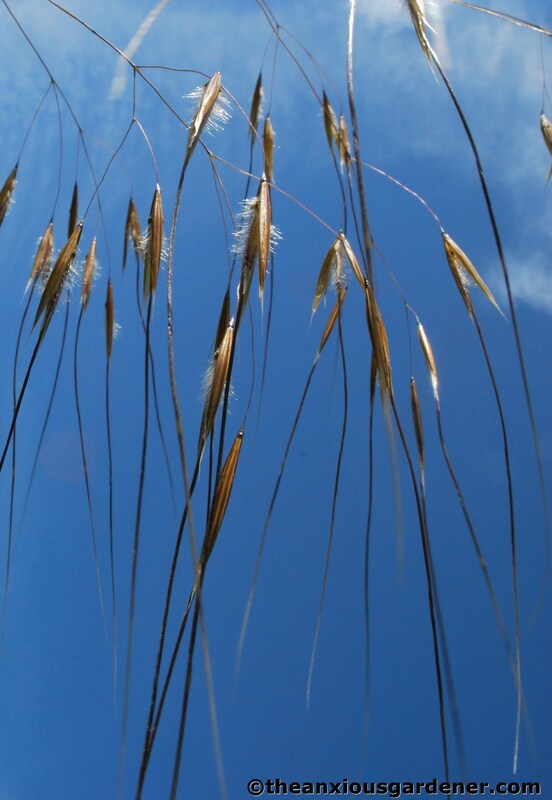 when is the best time to sow seeds of Stipa gigantean. I’ve collected some this week – July 2014 and put some in a paper bag and sown others, but am guessing! Hey Stacy, glad you're back! Dud neurons are a challenge. But we will overcome. Won't we? Yeah, super hot day and it was sizzling. I almost nodded off lying on my back taking this shot. I saw this one shortly after you posted it, and it lit up the “Ooh, nice!” part of my brain, but when I waited for another neuron to fire that would actually turn “Ooh, nice!” into words, nothing happened. Dud neurons. Did you take this on one of those super-hot days? The sky and the way the light bronzes the seed heads just radiates sizzling summer.